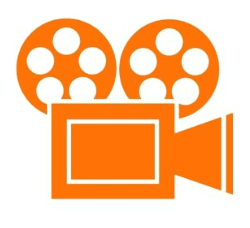 VIDEO PRODUCTION & MEDIA AGENCY SPECIALIZING IN VIDEO MARKETING FOR LOCAL BUSINESSES. When it comes to digital marketing & videos for small businesses, we have you covered! We understand the importance of making the right first impression, so we created a system to help you reach all of your video marketing goals! Tasca Studios is a phenomenal one-stop shop when it comes to promoting your business digitally. Amazing work and truly went above and beyond for the event they filmed for our client. 100% recommend! They helped me reach and even surpass my goals with our promotional video! We have a brainstorming meeting to understand your brand. Next we create a script, storyboard, and plan for the shoot. Next we arrive with all the gear needed using the latest HD/4K cameras and capture everything needed make you look good! Here's where the magic happens, we single out all the best shots & gracefully intertwine the right music & edits to compel your story. We upload and optimize your video for free to YouTube! And use your website and social media channels to connect your new video with customer. For many local businesses video marketing is a great way to grow and gain exposure in a local market. We’re here to help you every step of the way from production to marketing! "The single most important strategy in content marketing today is video."